At the Obesity Medicine Association (OMA) meeting in Washington, DC, it’s becoming visible. Medical and surgical obesity care have sometimes existed in completely separate spheres. But these two distinct spheres are growing closer together. For the sake of better patient care, we see a trend toward integrating medical and surgical obesity care. We can see it in OMA’s review course for the obesity medicine board exam. Of about 600 physicians in the course, we find a number of surgeons. The numbers are certainly small. Among 2,656 board-certified obesity medicine physicians, only 83 are also board-certified in surgery. But that number has almost tripled in three years. As a matter of fact, the current president of ASMBS has dual board certifications. The reason is really quite simple. Bariatric surgery is not a one and done operation. Rather, it’s part of a continuum of care. Optimal surgical outcomes require optimal medical care. That care typically might not come from the same provider. But coordinated care would certainly be a good thing. Increasingly, we are seeing integrated programs that provide comprehensive care. A new study in the International Journal of Obesity illustrates just one reason why. Cecilia Leggett and colleagues studied the outcomes for 323 gastric sleeve patients. 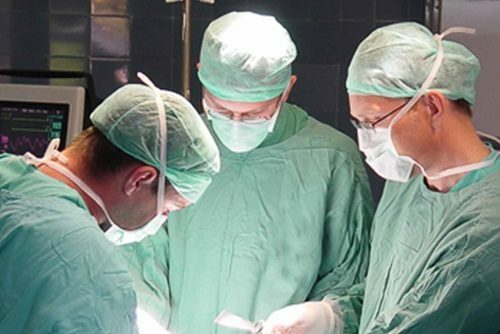 They found that 150 patients received drugs that can cause weight gain after surgery. No surprise here. Those patients had less successful weight loss outcomes. In fact, they lost about 20% less weight. That’s just one example. The reasons for integrated care are numerous. Patients need follow-up to ensure a good nutritional status. Some weight regain is almost inevitable eventually. But for a patient, that possibility is terrifying. Especially without supportive obesity care. Bottom line, obesity is a chronic disease that requires chronic care. Even, and perhaps especially, after surgery. The trend we see toward integrating surgical and medical obesity care will be good for people living with obesity. Click here for the study by Leggett et al.